Punta Cana is a town that is found in the La Altagracia Province, which is considered to be the Easternmost province of the Dominican Republic. 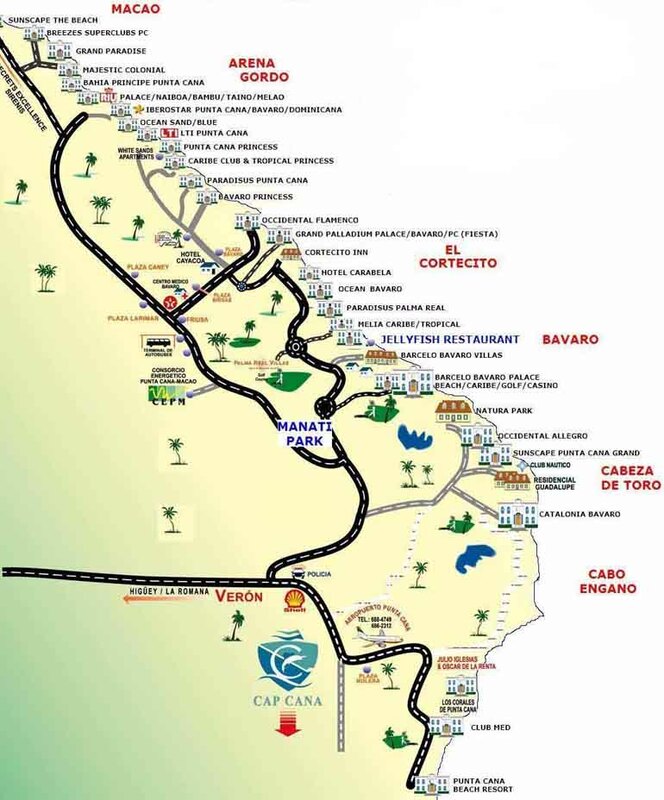 The town is regarded to be a part of the Punta-Cana-Bavaro-Veron-Macao municipal district, but more specifically the town is located in the Higuey municipality. The region has been blessed with a beautiful coastline full of sandy white beaches that face both the Atlantic Ocean and the Caribbean Sea. Because of the natural beauty of the town, and its tropical wet and dry climate, it has been a very popular tourist destination since the early 1970s. Passengers, who are interested in having a relaxed time under the sun, should pay a visit to Bavaro Beach. The beach boasts of powder white sand, that is always kept clean, and the access it has to the warm, clear waters that surround it. Animal and nature lovers alike should not miss out on the chance to visit the Manati Park, which is a theme park that offers lush gardens and an array of animals that are found in the Dominican Republic. Here, visitors even get the chance to swim with real dolphins. One of the most popular safari excursions in the town is the Bavaro Runners. The excursion encompasses interaction with the locals through visiting some of their homes, their sugar plantations, and finally closes with a horseback ride on the beautiful beaches. Visit the turquoise waters of the Hoyo Azul, a freshwater lagoon at the base of a 200-foot cliff. Historical landmarks can be found in plenty when one visits Santo Domingo and it is considered to be the site of the first European settlement in the Western Hemisphere, which has been successful in preserving its colonial heritage for over five centuries. In addition, it is a UNESCO World Heritage Site.